The Opioid Crisis Is Now Officially A National Emergency. Now What? If you've been even halfway listening to the news over the past few months, you've probably heard about the Opioid Crisis sweeping America. 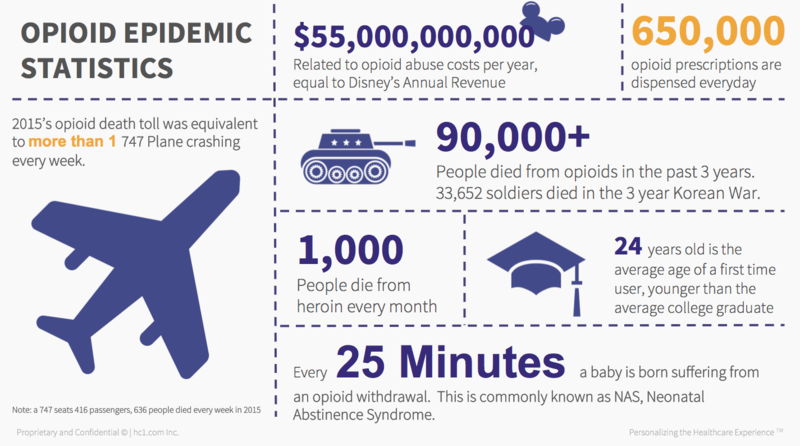 This issue, which has quietly been affecting millions of Americans over the past few decades, has reached its pinnacle, and on Thursday the president officially declared the Opioid Crisis a National Emergency. With a large number of Americans affected by this incredibly debilitating crisis, healthcare leaders are left wondering how they can proactively address these issues head on, without waiting for reactive data or strategy. Some innovative governments, such as the State of Indiana, are taking matters into their own hands by implementing cutting-edge solutions that are helping officials pinpoint where possible opioid abuse is occurring and where there are gaps in regulations. With solutions such as hc1 Insight, healthcare organizations and government entities can leverage real-time toxicology and laboratory data to uncover opioid positivity rates, benchmarks & statistics, and possible at-risk populations. Check back soon for more details on how hc1 and government entities are working together to proactively tackle the Opioid Crisis.